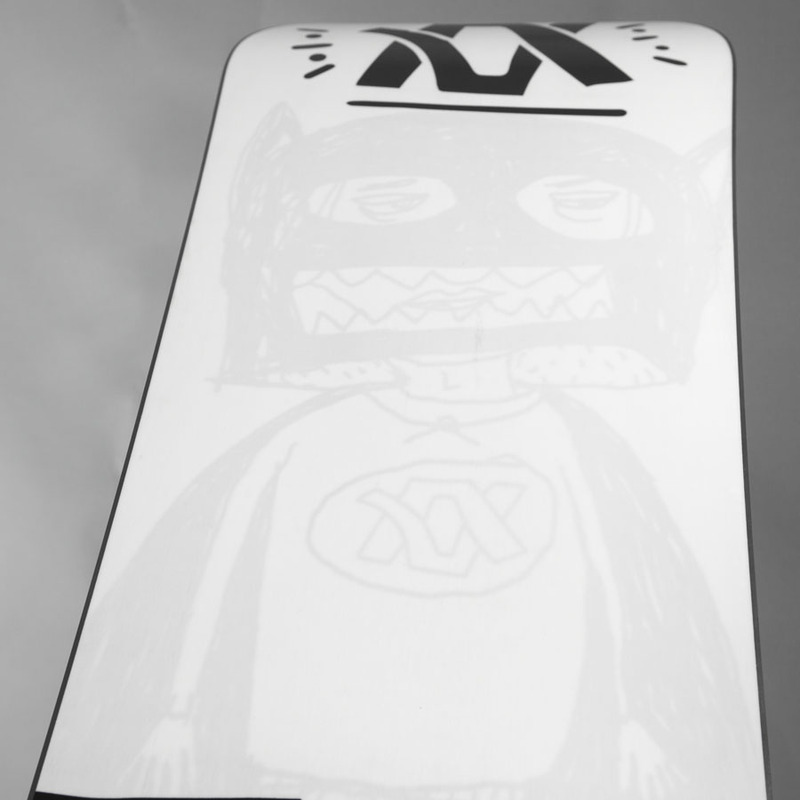 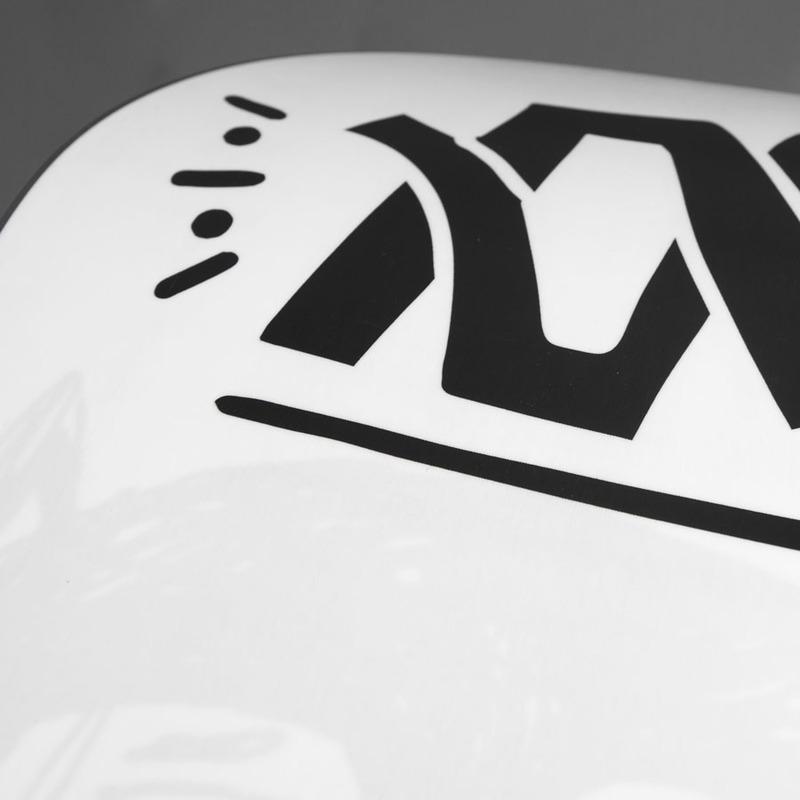 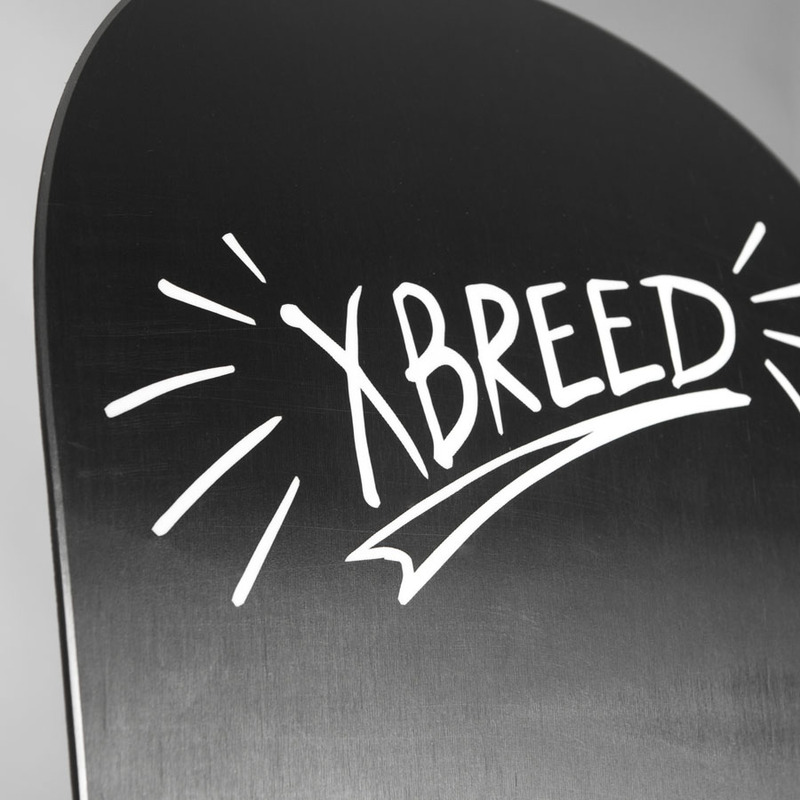 We designed the Dimension and the XBreed Boards for the 2016/17 Völkl Snowboards line. 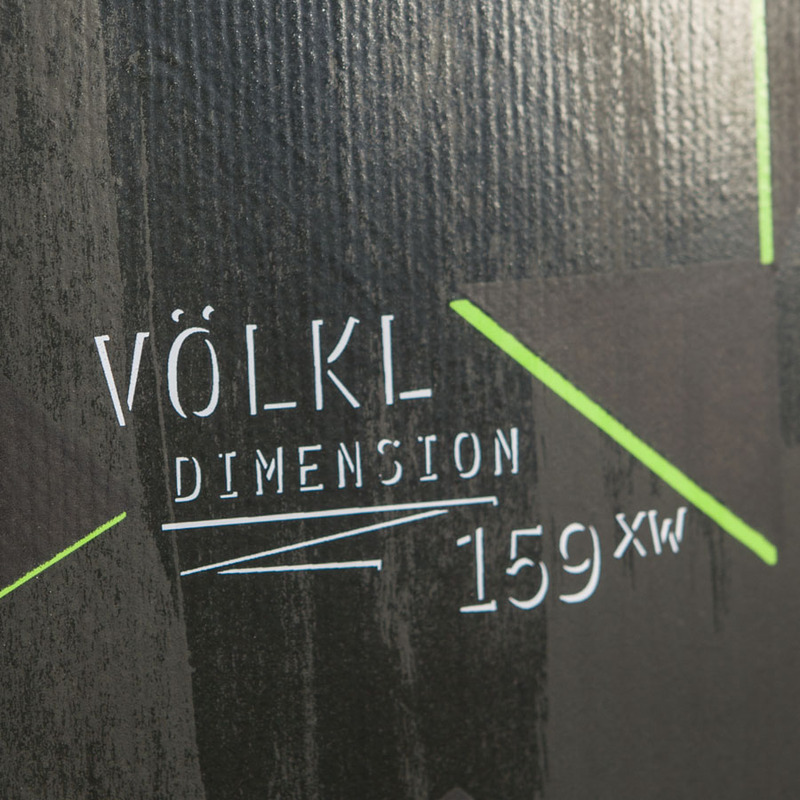 The Dimension is based on a chopped up DADA type collage, of the double-V-Völkl-Logo. 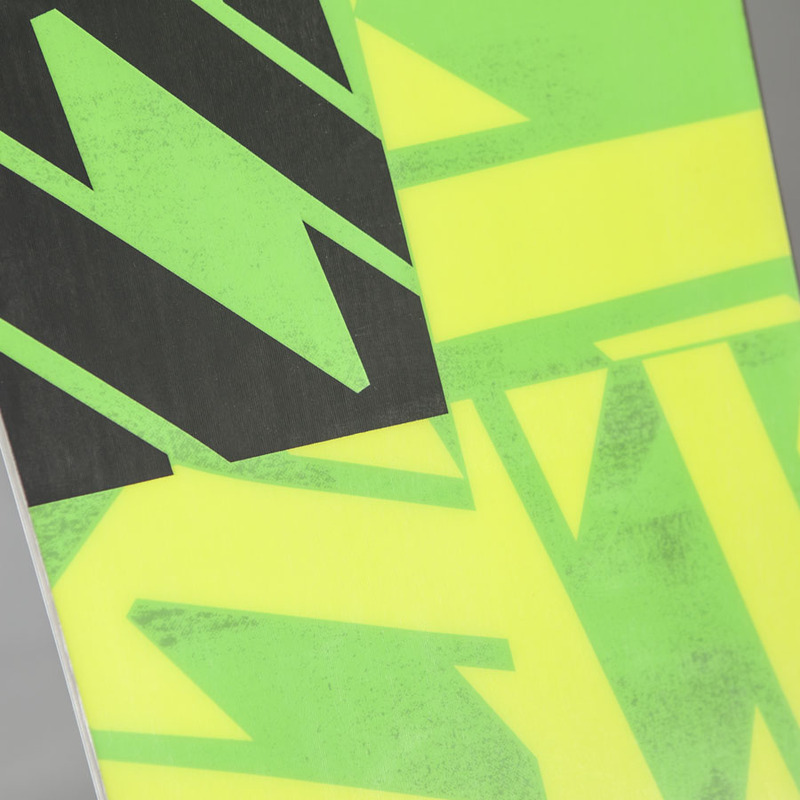 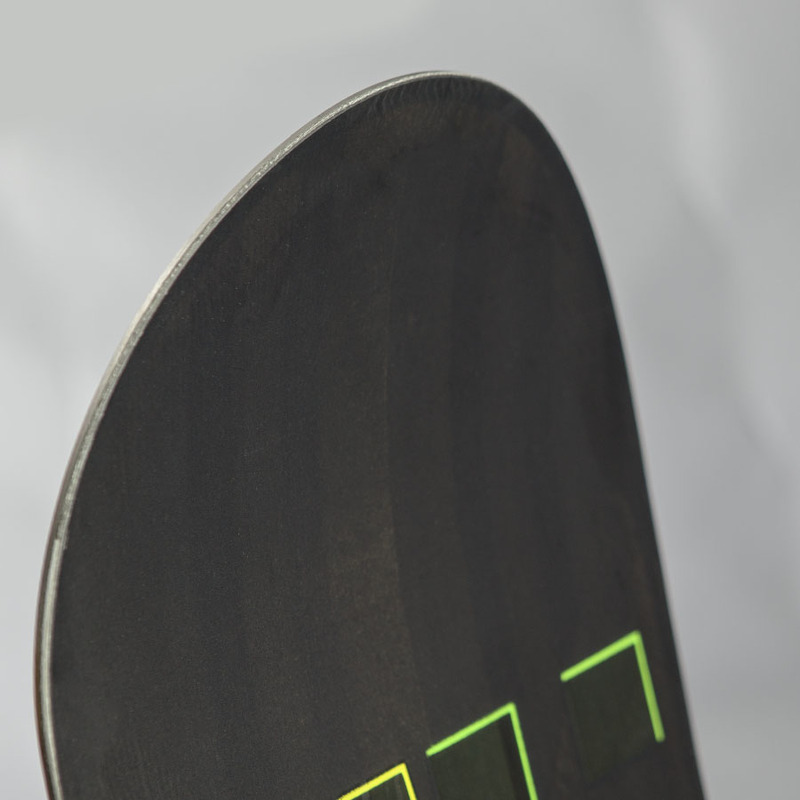 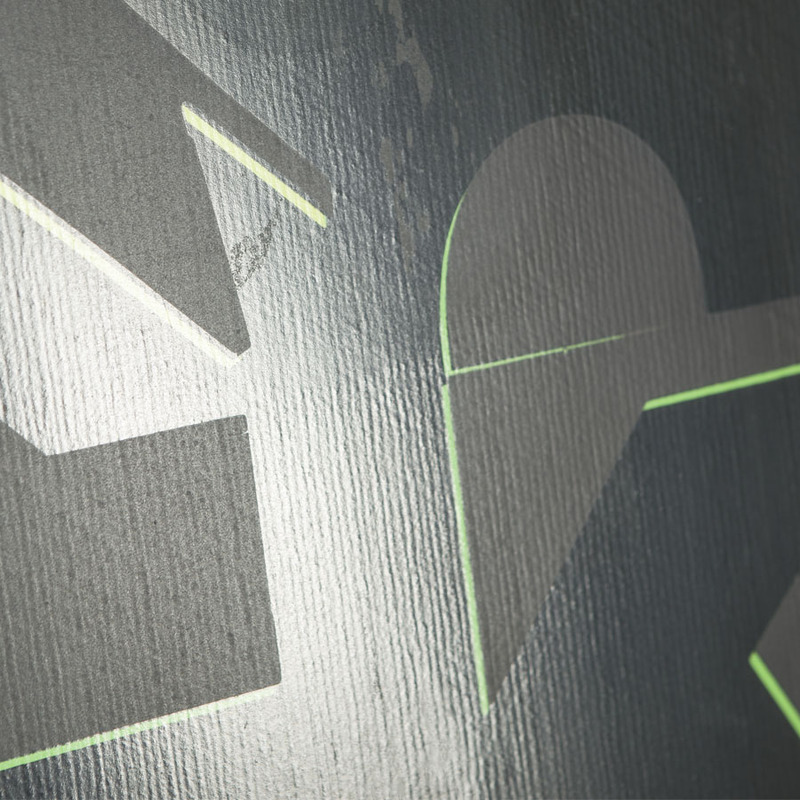 The graphics are made visible through the black on black matt/glossy varnish vs the neon green high-lights on the top design. 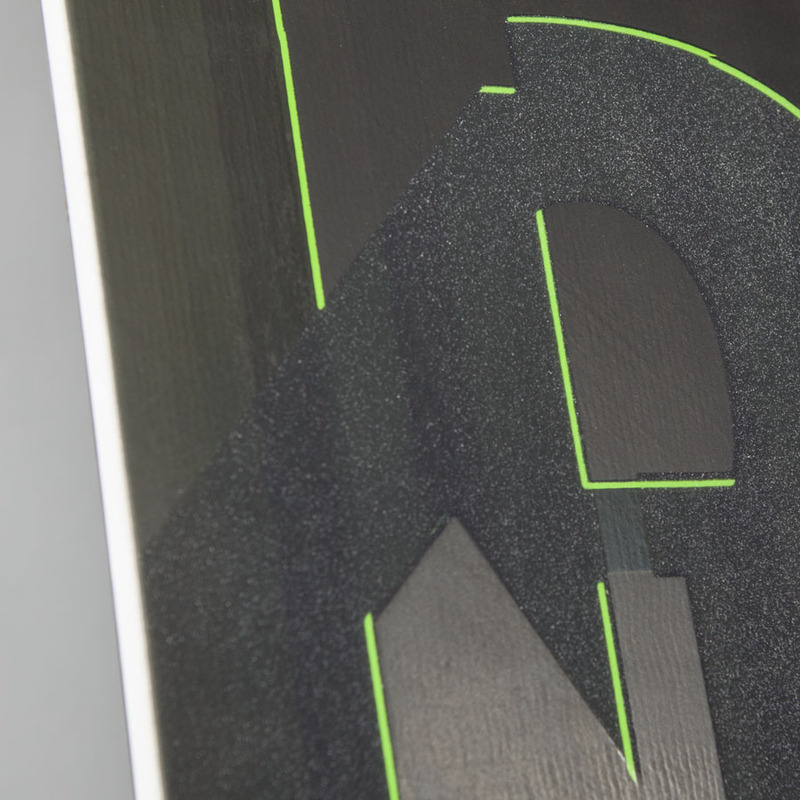 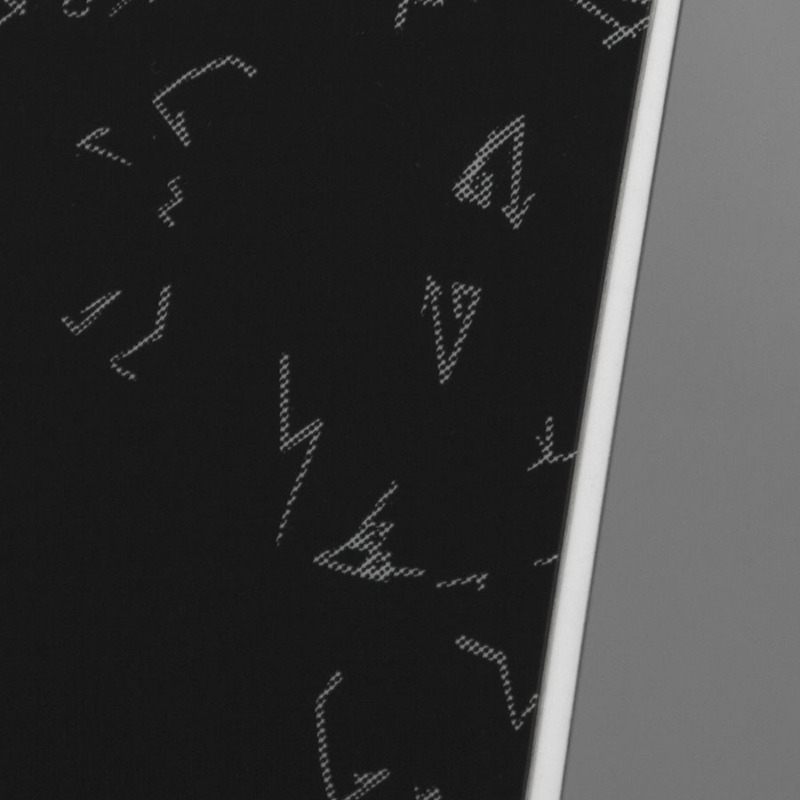 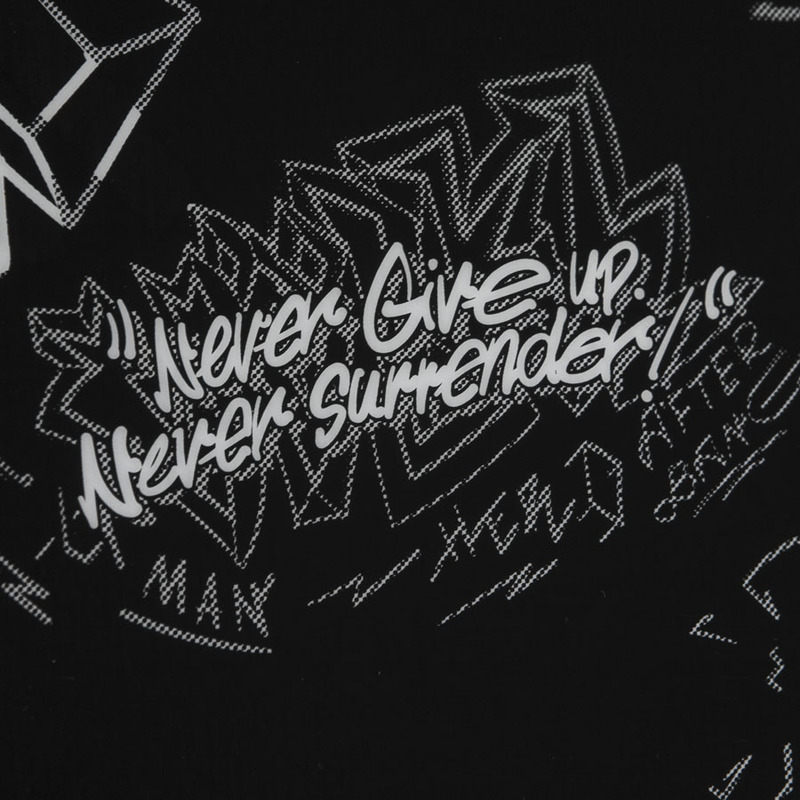 There are some seriously nerdy printing techniques being utilized here – to a very slick effect. 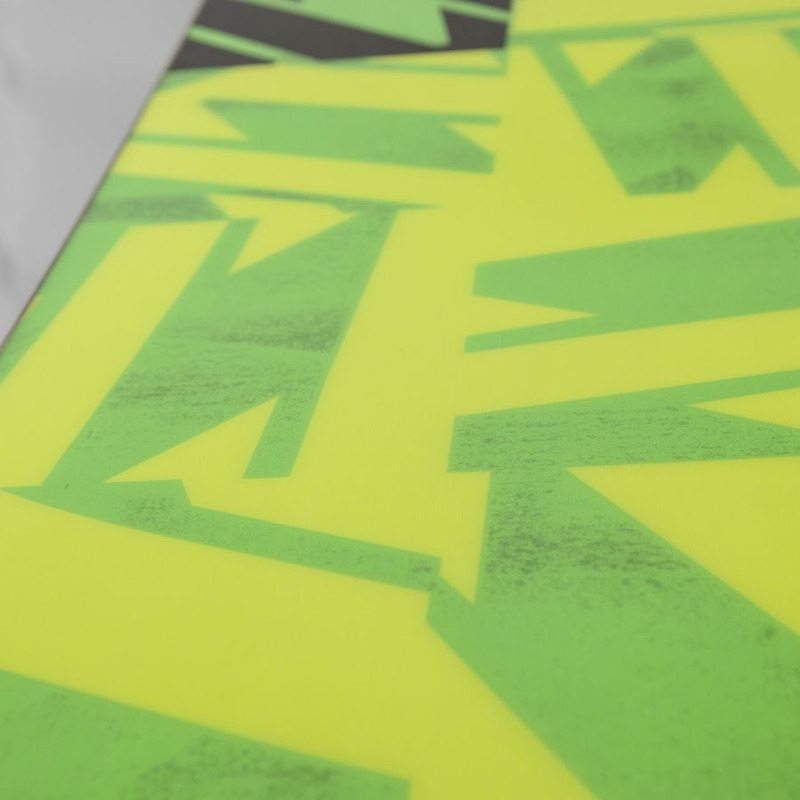 As usual, we are very happy that we were also able to smuggle some smart details into the finished products. 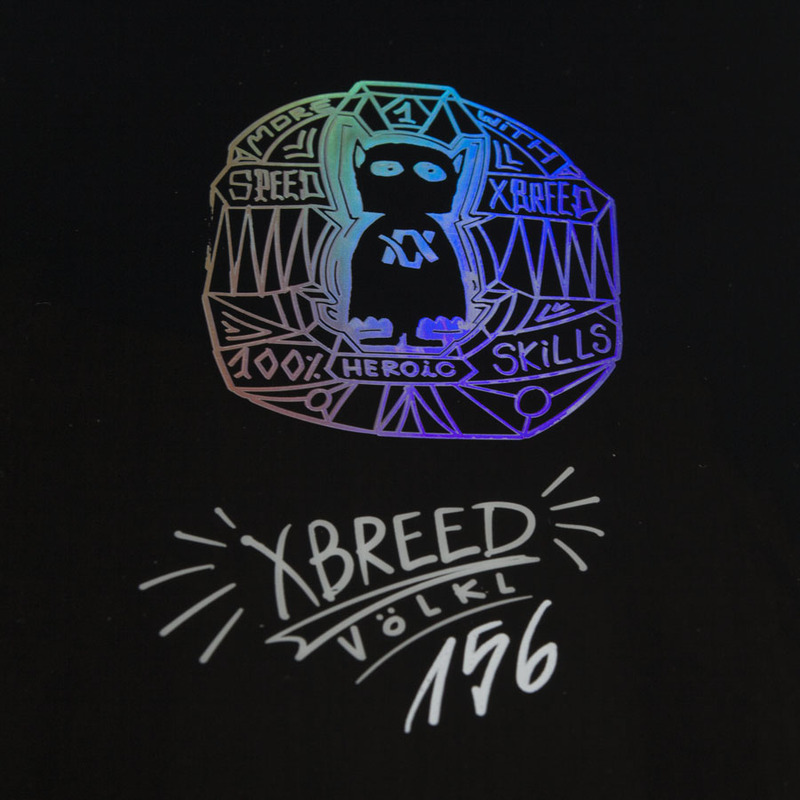 One of these details is the “hot-stamp” on the XBreed board, which features a little Batman character.